Jurgen Klopp had every right to be frustrated after watching his side crash out of the EFL Cup at the semi-final stage. 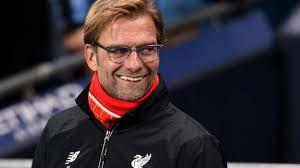 After losing two finals last season, the German must have thought he was on course for a chance to put that right at Wembley next month when his side were drawn against Southampton. Claude Puel’s side got the better of the Reds over both legs, though, winning each 1-0. Liverpool can have few arguments about that. Of course, they were unlucky not to win a penalty late on in the second leg, and Shane Long scored the night’s winner within minutes of that incident. Yet, overall there can be no complaints. Daniel Sturridge and Divock Origi disappointed again, just as they did in the FA Cup replay against Plymouth. It looks increasingly likely that Sturridge could be sold in the summer, but that’s an argument for another day. As for this game, Klopp was visibly angry afterwards. Rather than deflect blame onto his admittedly culpable players, he came up with a hilarious excuse in his post-match press conference. “First half, difficult, I’m not sure if you felt it but the wind was really strange. “It was difficult to handle. You saw one or two balls when Milly [James Milner] couldn’t… the ball stopped in a moment no-one could know about it. That sounds like yet another dig about other teams’ style of play, but you can guarantee Puel won’t be too worried about Klopp’s opinion when he leads his side out at Wembley.